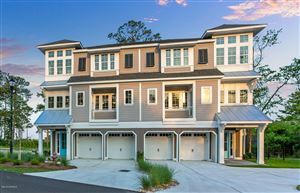 Located on the Intracoastal Waterway, just off Myrtle Grove Road near Carolina Beach Road in Wilmington, North Carolina, Tidalwalk is a quiet gated community that not only features a wide array of home choices, but also amenities that coastal enthusiasts will love. Developed across a beautiful strip of land opposite of Masonboro Island, Tidalwalk’s home sites include wooded and marsh front lots. The community as a whole is divided into six sub-communities with its own distinct feel and architecture, and even has its own private island called Green Turtle Hammock. 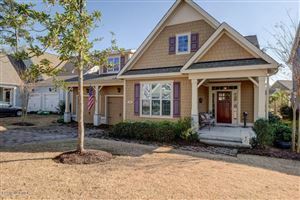 Tidalwalk homes have excellent builders - Mark Johnson Custom Homes, Tongue and Groove, and Plantation Building Corp - so buyers have a nice range of home layouts to choose from. They build semi-custom and custom homes, and each are working actively to create energy efficient “green” homes, which will help buyers save money in the long run. Some of the features you'll find in Tidalwalk homes include: covered front porches, screened porches, fireplaces, wainscoting, decorative wrought iron staircase banisters, verandahs, huge walk-in closets, formal dining rooms, spacious bedrooms, bonus rooms, two car garages, and more! Low Country has been a popular style, but there are many styles to choose from. No matter which of the six sub-communities a buyer chooses, everyone has access to the boat slips, 150 ft pier with gazebo, swimming pool, clubhouse, fitness center, and ¼ mile private beach on the Intracoastal Waterway. Conveniently, sidewalks run throughout the community, so residents can walk to these fine amenities.